Use this interactive to investigate the properties of a kite. What do you notice about the sides and interior angles of this shape? Do the diagonals bisect its angles? 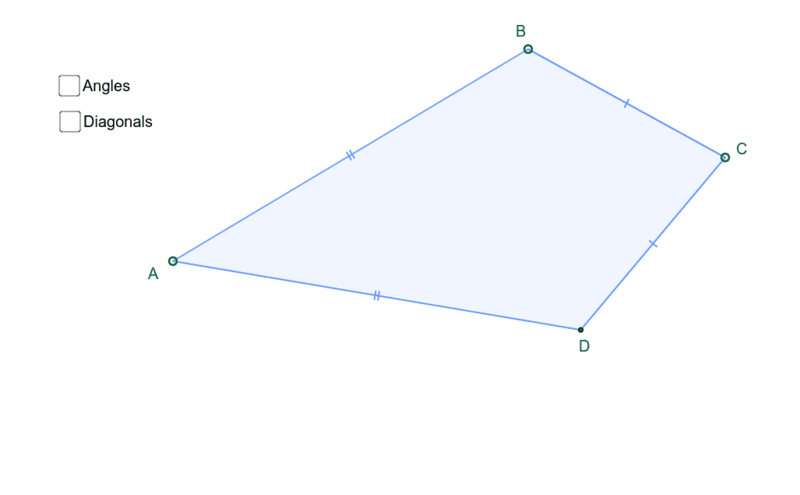 Do the diagonals bisect each other?